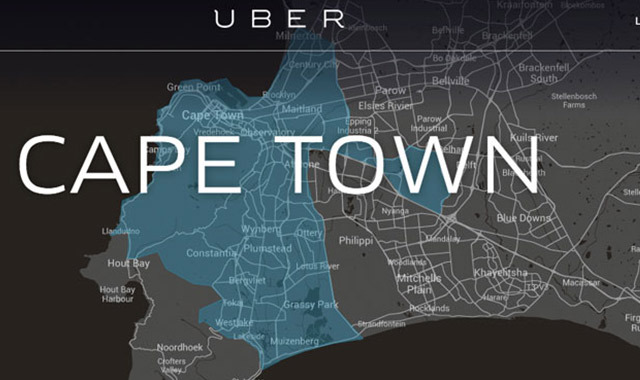 Smartphone-based private chauffeur service Uber has launched a low-cost version of its taxi service in Cape Town. Called UberX, the cheaper option will run alongside the company’s high-end UberBlack service, which has been available in South Africa since October. Uber’s cab service allows users to book and pay for a cab using the smartphone app, which is available on Android, iPhone and BlackBerry 7. The cashless service allows people to pay for their ride via the app, with costs accurately quoted prior to requesting the service. Users are also able to see details of the driver, including their photo and vehicle details. Uber is available in 128 cities in 37 countries and earlier this month the company completed a round of funding which valued it at US$18,2bn. The company also launched in London on Wednesday amid widespread protests against the service across Europe. In London, the city’s black-cab drivers protested the launch of an UberTaxi service. Protesters say that Uber is not competing on a level playing field because it is allegedly able to circumvent regulations governing metered taxi services. The cheaper UberX fares in Cape Town will see the fare per kilometer fall to R7/km, compared to R11/km for the UberBlack service. The fare per minute, which kicks in when the vehicle slows to less than 20km/h is set at 70c/min compared to UberBlack’s R1,10/minute. UberX customers will be driven in less luxurious cars, including Toyota’s Corolla and Avanza models. UberBlack now exclusively uses Mercedes C-Class, Audi A4 and BMW 3-Series vehicles.